According to myths, the Ancients discovered a botanical species; a kind of reed that was capable of resonating a sound frequency when touched. The Ancients harvested these reeds and created a meditative and spiritual garden. 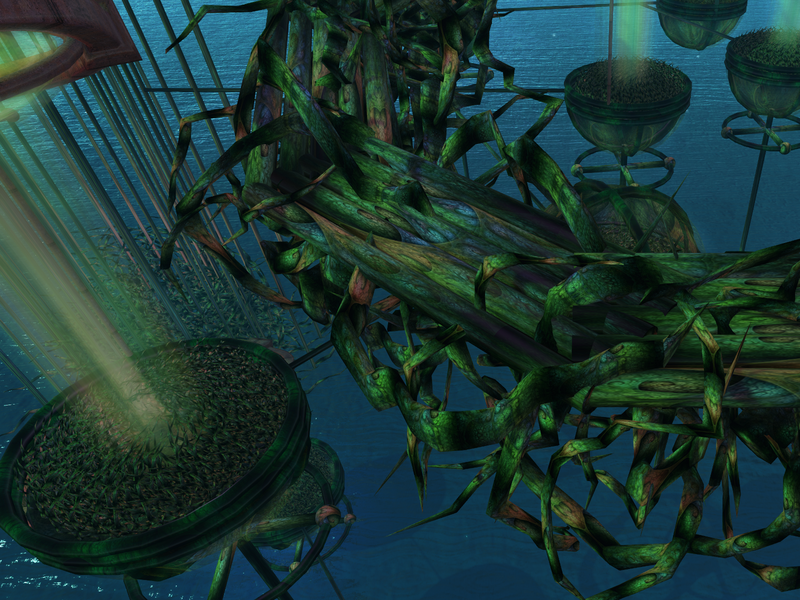 Quite by accident, the Ancients also discovered a symbiotic creature to the reeds; which they named the Pentapuss. The Pentapuss has the same form and biological structure as the reeds, and fed off the soundwaves made by the reeds. In doing so, their movements amongst the reeds nurtured the growth of the reeds to maturity. The build is based on live sampling of (Xeneop's) cello "plucking". Each "reed" in the build, upon collision, produces a specific note. 1. 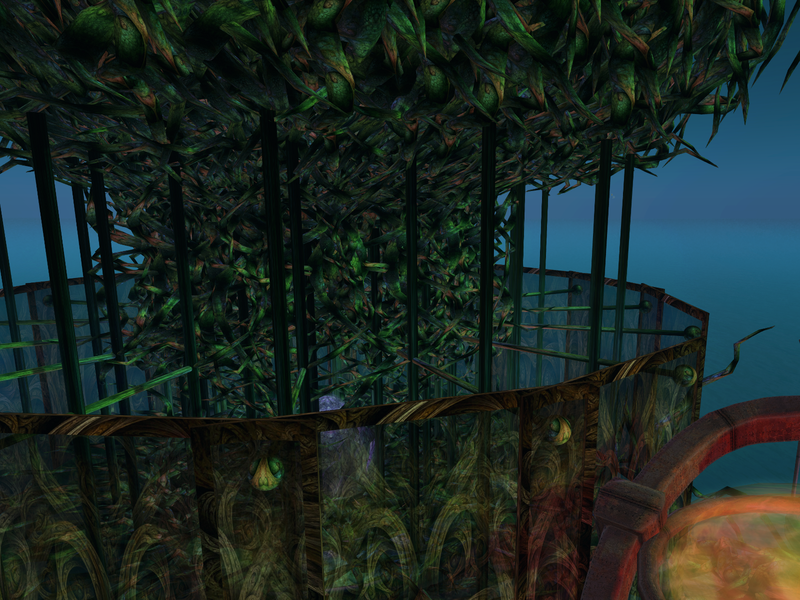 An interactive chamber where avatars can move around, collide with the reeds and make their own music. 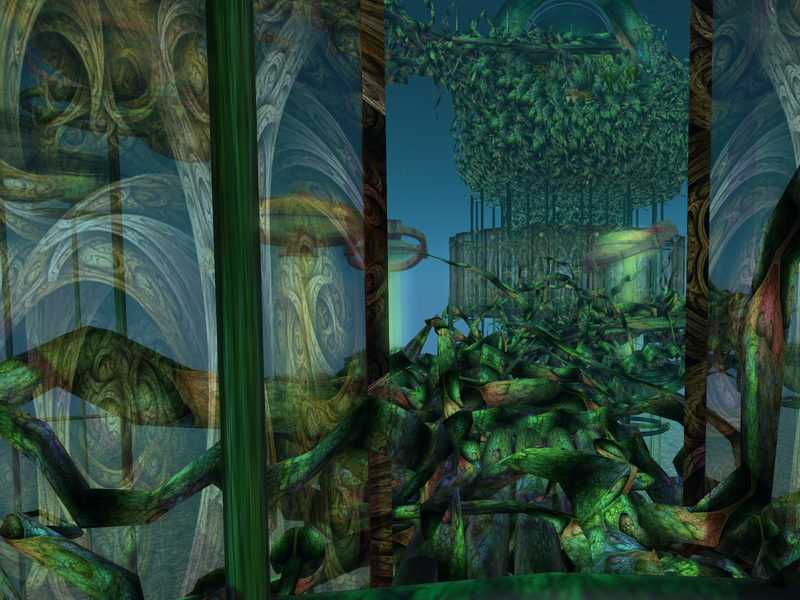 2.The main chamber; where the musical notes are being produced in a total unstructured fashion by the random collision of the creatures "the pentapuss". The creatures move/dance in an absolute random algorithm and upon collision with the reeds, the reeds produces the sound of a single note. Being executed in a completely random fashion, a musical score is created that is ever-changing and evolving... never the same. 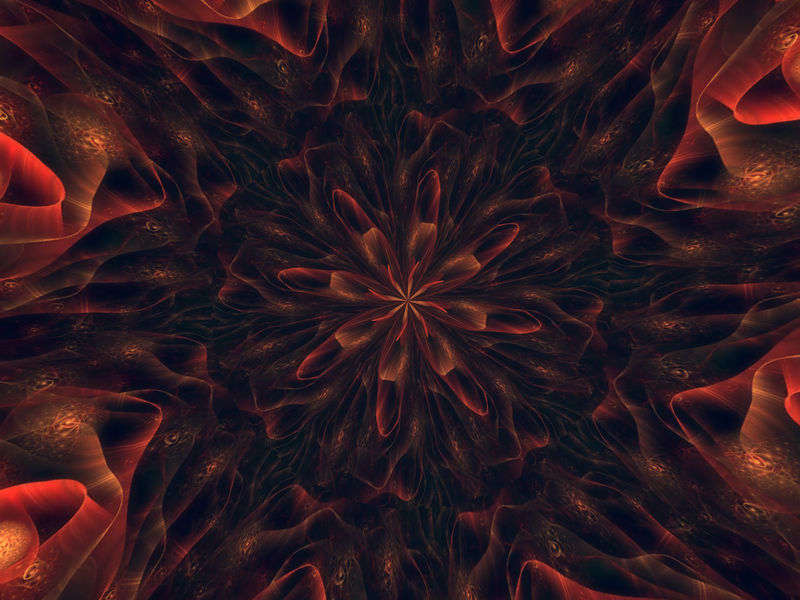 Chapter Two: The Akasha Mechanicum is now officially open as well. …..and so the story was told; that many moons had passed, and the Ancients had built their garden of tranquility - a place of musical beauty providing solace and much enjoyment. A wondrous creature rose from the waters one day. With fear in their hearts and in haste, the Ancients captured and killed the “beast”. The Ancients realised, that in their foolish haste, they had killed the mother to the creatures they had so lovingly nurtured, and that Mother had only arisen from the depth of the blue waters to the call of her younglings. 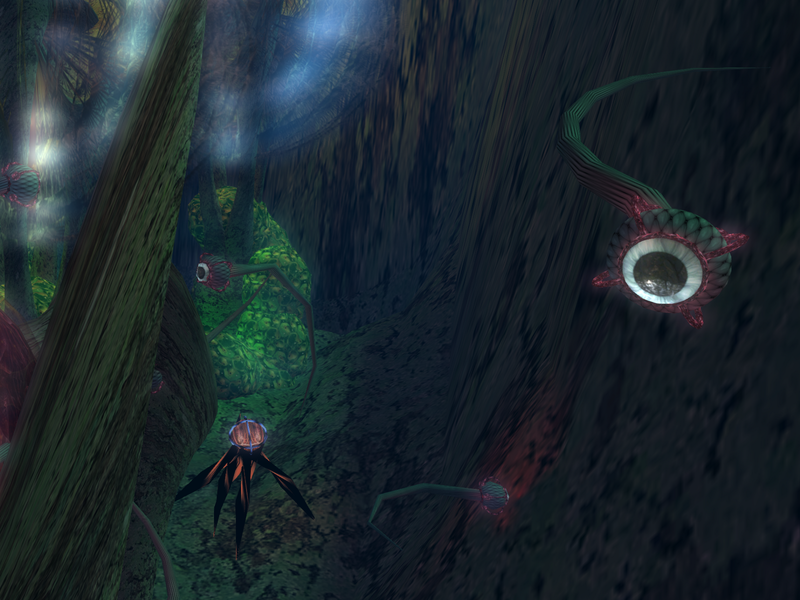 The immersive “treat” is underwater - The plant-like structure emits particle spores, and upon approach or when a Pentapuss is near, the larvaes “hide” and get “petrified” within the egg-like structure of the plants. There is a beautiful book available at the landing spot - make sure you collect your copy! New chapters will appear throughout this 5 month residency, and they promise to be equally stunning.